If you don't already own a tool box or chest, then the first question that you should be asking yourself is whether you really do need one. 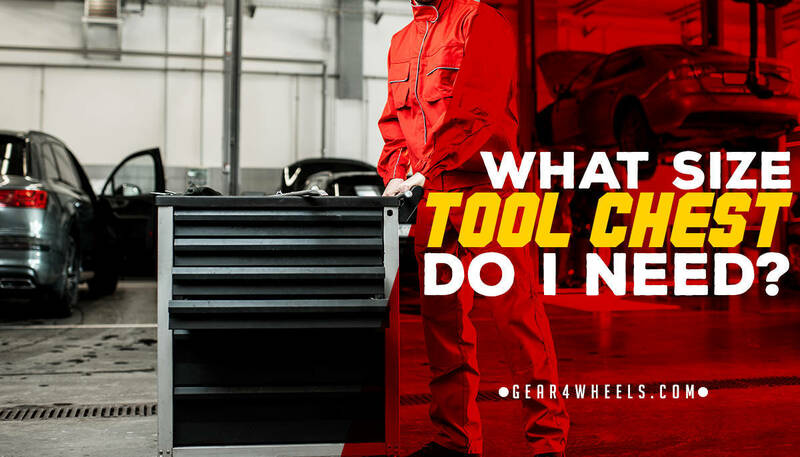 If the answer to this question is yes, then there are a range of options at your disposal, depending on just how many tools you own that require storage or a means of transport. Below, we will look at the different options available for storing or transporting tools, as well as their advantages. Portable, hand-carry tool boxes are pretty much the norm for many tool owners, as they're easy to move around, making them a perfect choice for small business owners or DIY-enthusiasts carrying out small tasks in the home. They're normally built from either plastic or steel, with lower-priced models being crafted out of the former. Even when you own a larger alternative, you'll still likely want the smallest tool box that you can use to ferry around specific pieces of equipment for the task at hand. Design-wise, the exterior of these boxes usually features a fold-down handle that facilitates ease of transportation. The good models will have a removable tray that extends the storage options available to you, allowing smaller or more fragile items to be separated from the main container below. This also keeps the box uncluttered. In a nutshell, it’s worth having a hand-held tool box regardless of what other solutions you own, as they’ll always be useful for ferrying tools from one job to another or carrying them from the garage to the lounge when hanging a picture hook, for example. A handy alternative to the hand-held tool box is the tool bag or tool belt. Tool bags and belts are a lightweight alternative to the tool box that can be used by contractors for easy hands-free access to tools while on the job. Any good bag or belt will be crafted from durable canvas fabric, with a wide array of pouches for securing tools in a vertical alignment. Essentially, if you’re going to be working on tasks that require both hands, then you’ll want to consider owning a tool bag or especially a tool belt. The rolling tool box, or tool box on wheels, strikes the perfect balance between the sheer storage space of a chest or cabinet, and the portability of the tool box, bag, or belt. They're ideal for carrying larger, heavier tools such as large saws or power tools that won't fit into a small unit, while being easily rolled between jobs. The rolling tool box is probably too much for your average home user or DIY enthusiast, as your workshop likely has better storage options, such as tool chests, cabinets, or peg boards (more on these boards later). If you have too many tools for a simple tool box, then you should step straight up to the tool chest, below. If you've got too many tools to be contained within a hand-held tool box, then it's time to upgrade to a tool chest. These units are perfect for use in the home or within a business workshop, ranging from around 25 to 50 inches in width. These units also often come with locks that allow you to protect your most expensive pieces of equipment. One of the other benefits of a tool chest or cabinet is that many designs feature a flip-out workstation that provides both more storage space and more work space. This makes them an ideal solution to those who have limited bench or desk space within their workshop. As a last point, it’s worth mentioning the peg board. A peg board is hung from the wall of your workshop or garage and has several pegs attached directly to the wall, with a corkboard panel hung behind to protect the wall of the room. From these pegs, you can hang a wide variety of tools; however, peg boards are not ideal for certain tools such as small screwdrivers. The bottom line is that this is a solution best used in combination with another storage option.